Alain Johson has been involved with Taekwondo for 13 years, including 11 years as an instructor. 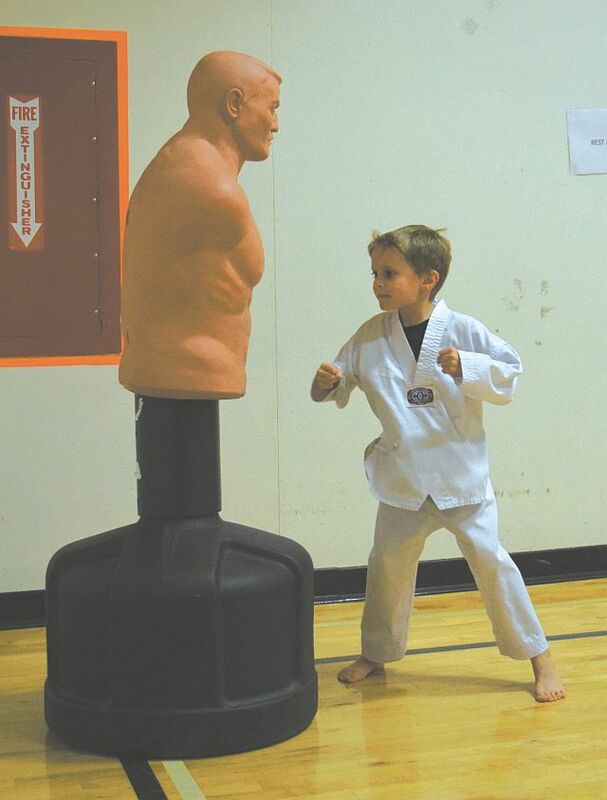 Alain Johnson offers Taekwondo lessons to people of all ages and levels, including young children. 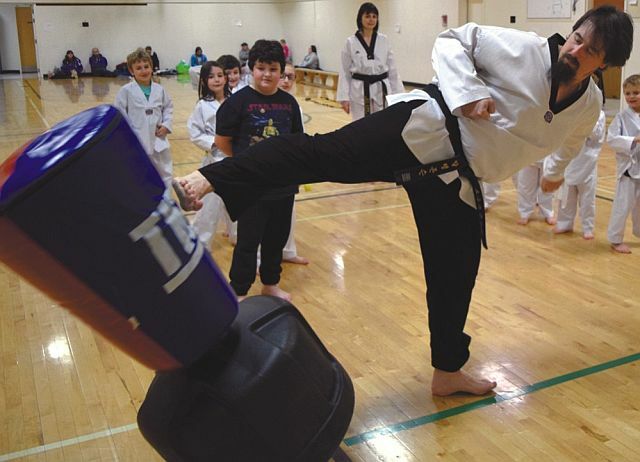 Johnson, a head instructor with a Fourth Degree Blackbelt, runs a school called Road Warriors Taekwondo, and he holds lessons in the junior high gym at Georges P. Vanier in Donnelly. His beginner level is for children ages 4-6, which helps them develop balance, movement, and coordination while giving them fun at the same time. Respect, courtesy, perseverence, self-control and indomitable spirit are also taught. “We want to teach them all these skills and integrate them into building their confidence, good citizenship and team work,” says Johnson. His program for all levels goes from September through mid-April. For more information, please call him at (780) 618-1202. Check the Road Warrior Facebook page as well. Reid Turnquist, 6, sets up a punch Body Opponent Bag (BOB). 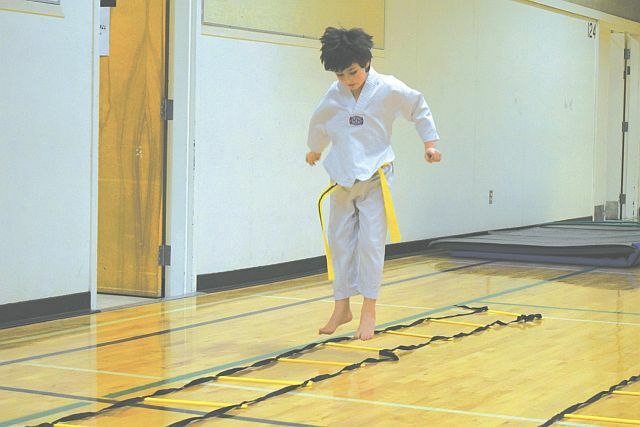 In the photo at left, Hayden Labrecque does a hopscotch-like move through the jacob’s ladder, which is a work drill.